A coconut dacquoise base cake, layered with dark chocolate mousse, wild strawberry coulis and coconut mousse covered with a white and dark glaze decorated with coconut macaroons, chocolate piece and a raspberry lightly dusted with décor sugar. 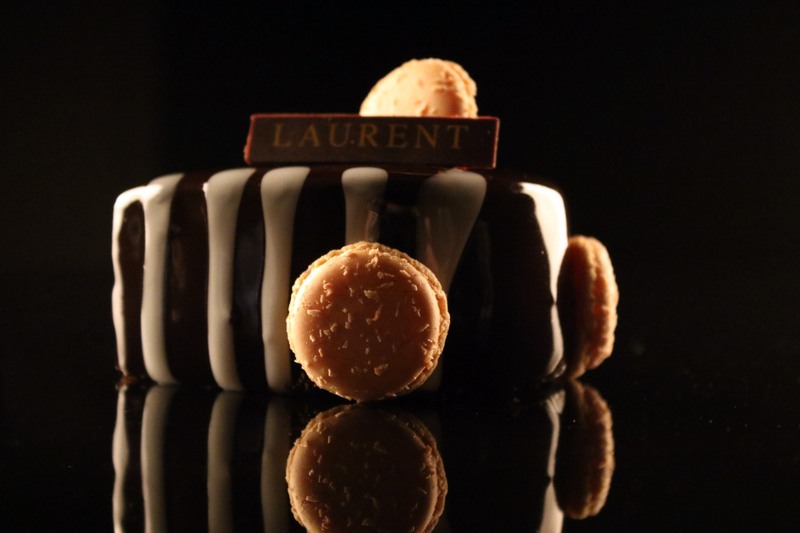 Laurent Boillon’s own tribute to our Pacific Ocean location, this is a slightly tropical twist on the traditional French dacquoise. 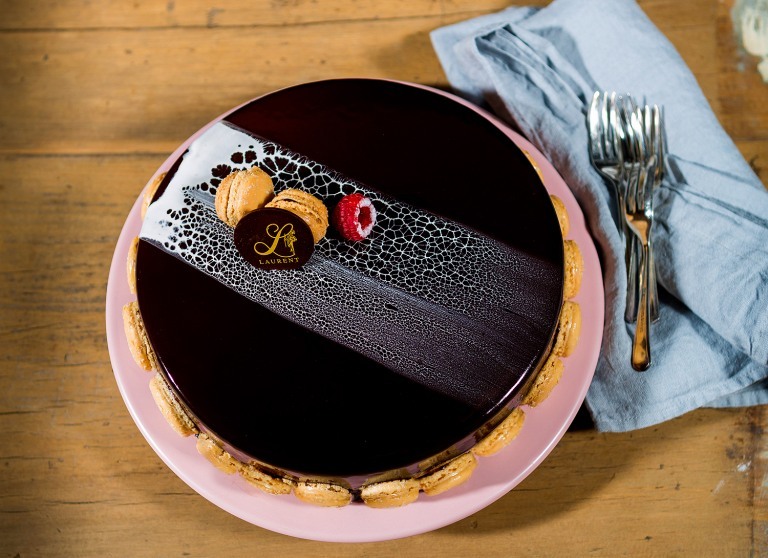 As the dark glaze yields to the coconut mousse underneath, then to the incredible refreshment and pleasant acidity of the strawberry coulis all these flavours will speak coherently to your taste buds in perfect harmony. 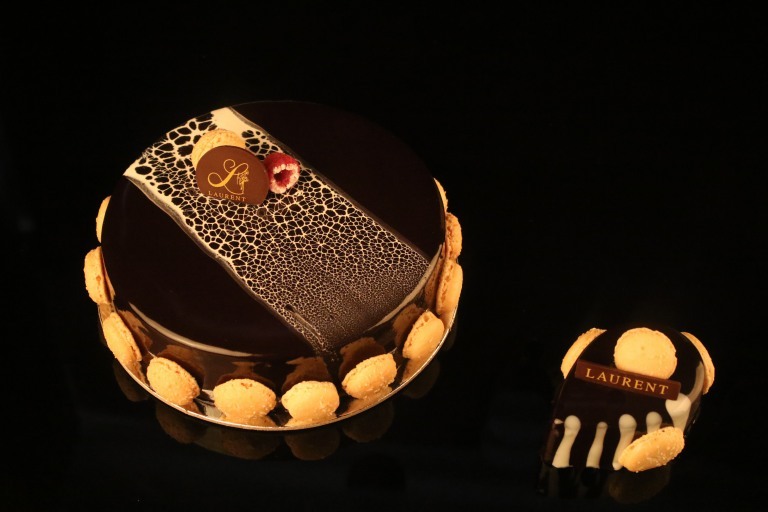 To place a cake order with Laurent, please allow a three-day turnaround for slabs. For all other cake sizes (individual-22cm) please place your order before 3pm and your cake(s) will be ready the following day for collection.